Because the watermelon is sweet, this recipe doesn&apos;t require much sugar which means low calorie! This mixed drink is perfect to enjoy with friends on a hot day. 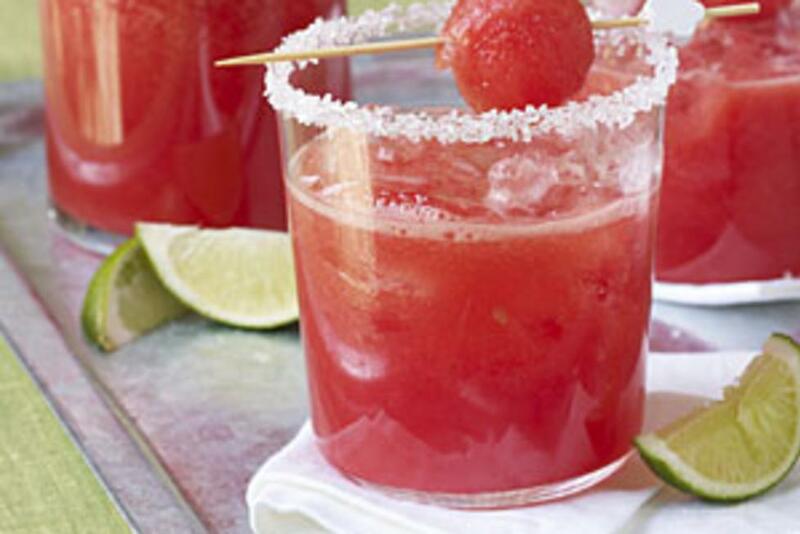 Combine watermelon, *tequila, lime juice, and Triple Sec in a blender; process until smooth. Fill each prepared glass with 1/2 cup crushed ice. Add 1/2 cup margarita to each glass. Garnish with lime wedges or melon balls, if desired. *If you have the chance to try our local Broadslab Moonshine, their shine can replace the tequila in this drink very nicely!